Hide deals from seller "Salon De Belleza"
Limit 1 per person. Valid on a 1-hour facial. New customers only. By appointment only. Promotional value expires 60 days after purchase. Rejuvenate your expression with 50% off a facial from Salon De Belleza in Palatine ($75 value). 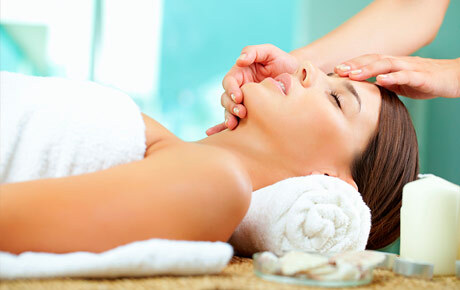 This 1-hour facial includes a mask steam and facial massage for pure relaxation and visible results. Gloria, owner of Salon De Belleza, is a licensed stylist and aesthetician who provides a variety of beauty services. She has a true passion for beauty and lets it show in all of her work. This relaxing facial will help remove impurities, leaving you with more supple, beautiful skin. They use skincare products from Bioelements, a high-quality line of professional products. Aside from facials, Salon De Belleza also offers haircuts, piercings, eyebrow threading and permanent makeup for a complete salon experience. A hair and beauty salon in Palatine offering haircare, facials, piercings and more.